You've let us know that most of your briefs have a specific format. So we've added templates to make your life easier! 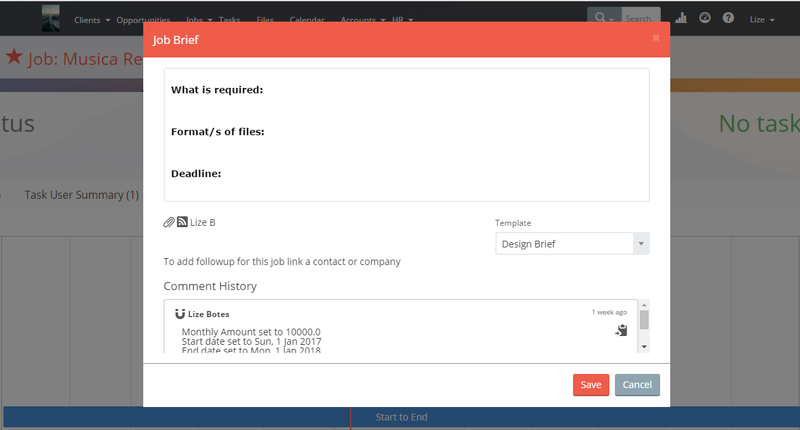 You can now setup and use templates for not only briefs, but for comments, amendments, status updates and approvals on jobs. But we didn't stop there! You can also use templates for comments on tasks as well. All you have to do is set it up under Company Settings and then next time when you add a brief, select the template you want to work from. All admin users will be able to add templates under Company Settings > Templates. 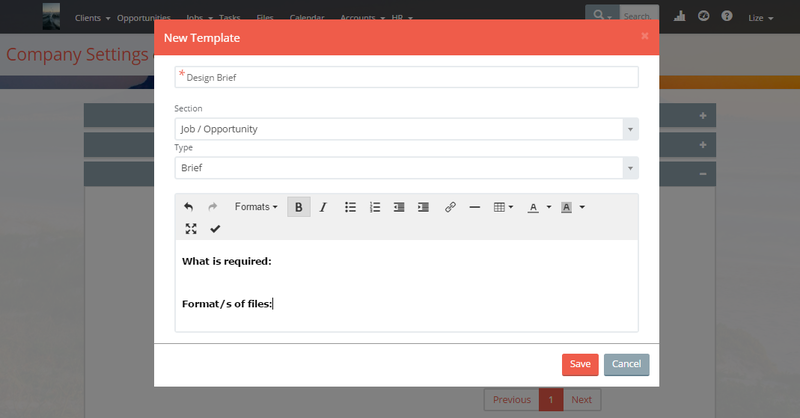 Select the New Template button and fill in the necessary information to create a template. After you've saved the template, it will be displayed in a table where you can edit or delete the template. Once you've setup e.g. brief templates, next time you add a brief to a job, there will be a Template dropdown listing all the saved templates for a brief. It will work the same when adding comments, amendments etc. that have saved templates.